We are convinced that any roll-out project of an information system is not just an extension of the software in the various subsidiaries, but the opportunity to convey to the other companies the operational model, business culture and the modus operandi of the Italian leader. Our approach is made possible by the experience and the best practices that we have consolidated as the strategic partner and system integrator of some of the most important Italian industrial companies oriented to the global market. Every new project represents an opportunity to become a unique interlocutor and reference partner for our customers, not only nationally but also internationally. The Alfa Abroad team dedicated to international clients and the on-site follow-up of foreign subsidiaries is made up of Project Managers and Developers with experience gained during more than 20 years of business. That’s why today we are able to partner customers wherever a business needs to be developed. 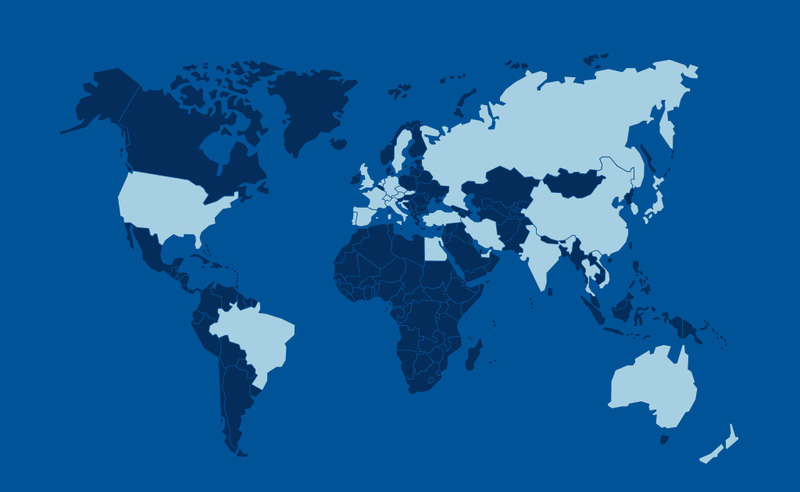 Thanks to its dedicated team, Alfa Sistemi is able to count on prestigious references and experiences on international projects and roll-outs across 5 continents and 30 countries. Contact us, we will call you back!